PHOTO CREDIT: YSU ATHLETIC DEPT. Some people have the ability to take on high-pressure situations in life and maintain a slow heartbeat. For example, taking on two of the nations top college baseball teams in back to back starts, and coming out relatively unscathed after 10.2 innings pitched, five strikeouts, and an ERA of 3.38? That’s looking into the face of greatness and not blinking. 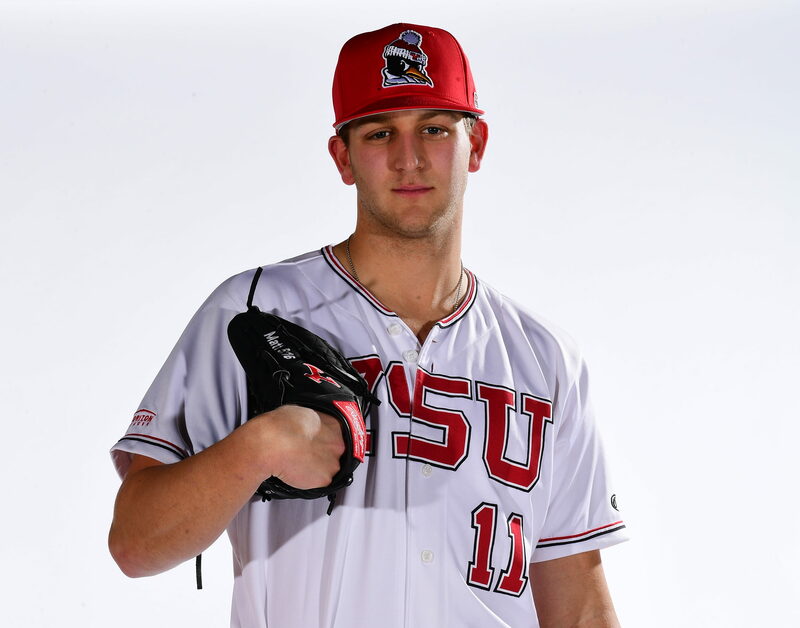 That is the Sophomore 6’3 Southpaw for YSU. That is Colin Clark. Clark is a business major at YSU, and business has been good on the diamond. Colin has gone 5.1 innings in both outings, and like all things, is only getting better with time. Colin gave up three earned runs in the opening series versus Mississippi State, and followed that performance up in Tallahassee with a gem against the Seminoles of Florida State letting up only one earned run while striking out 4. It’s no surprise to those who know him, though. At Logan Elm High School, Clark was the recipient of three varsity letters and was a team captain for two of them. Also before his time at YSU, Clark played in the Mizuno Senior All-Star Series and recorded a league-best 72 strikeouts his senior season. So, it’s no surprise that there’s a certain comfort the Guins have in giving the ball to the guy who continues to frustrate hitters and excite Penguin Nation. When the giants are in the other dugout and there’s nowhere to turn, who are you gonna call? YSN’s General Manager Steve Leslie had a chance to catch up with the answer to that question for this week’s YSU Baseball Player Profile: CALLIN’ CLARK.